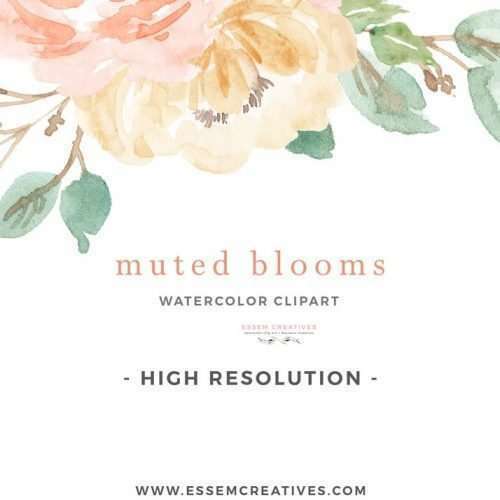 MUTED BLOOMS is a set of watercolor flowers clipart set. 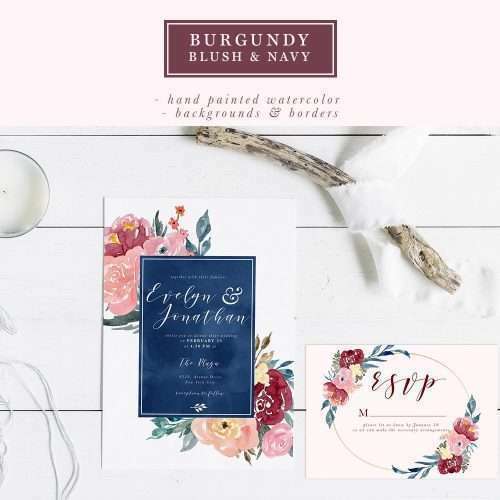 Painted in muted colors of peach, cream, blush pink and soft blues and greens, this set is perfect for watercolor wedding invitations, Save the Date cards, birthday party invitations, planner stickers & accessories, and more. 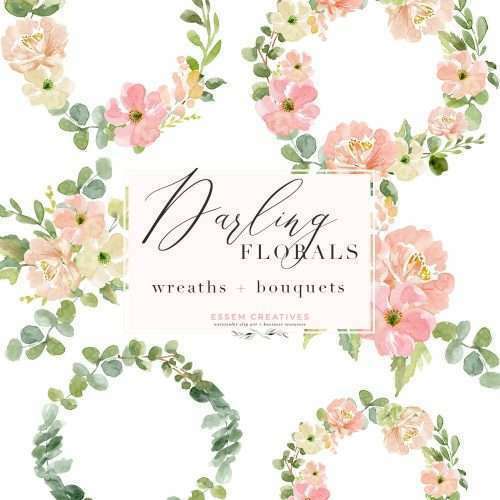 This is an instant digital download which is available for you immediately after payment. You can start with your project in under 5 minutes! Question? Just contact me! I am here to help you. 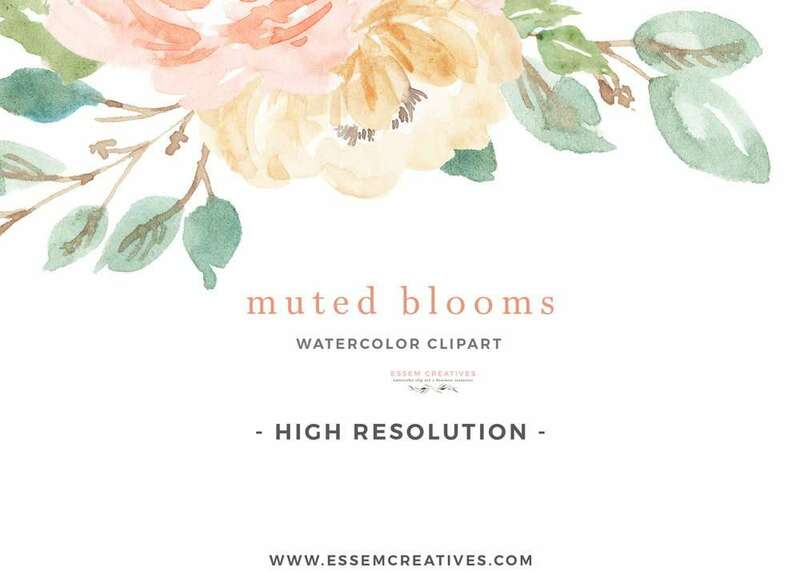 MUTED BLOOMS is a set of floral watercolor graphics set. Painted in muted colors of peach, cream, blush pink and soft blues and greens, this set is perfect for watercolor wedding invitations, Save the Date cards, birthday party invitations, planner stickers & accessories, and more. 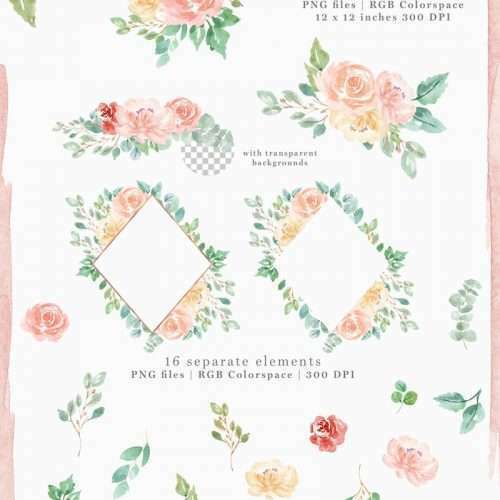 This watercolor clipart set includes bouquets, floral borders, floral frames with rose gold accents, and separate flowers and leaves. 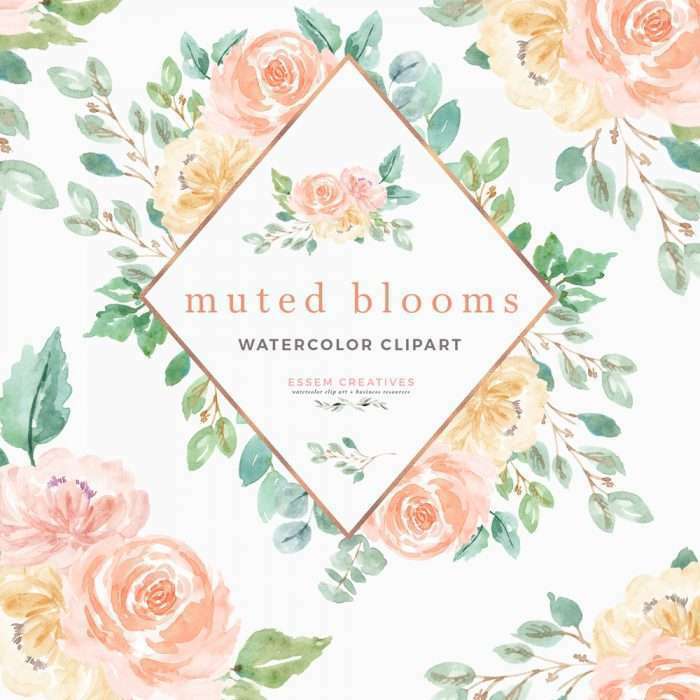 Also included is a bonus peachy watercolor paint stroke/ splash, which will be perfect to add that watercolor touch to your design project. 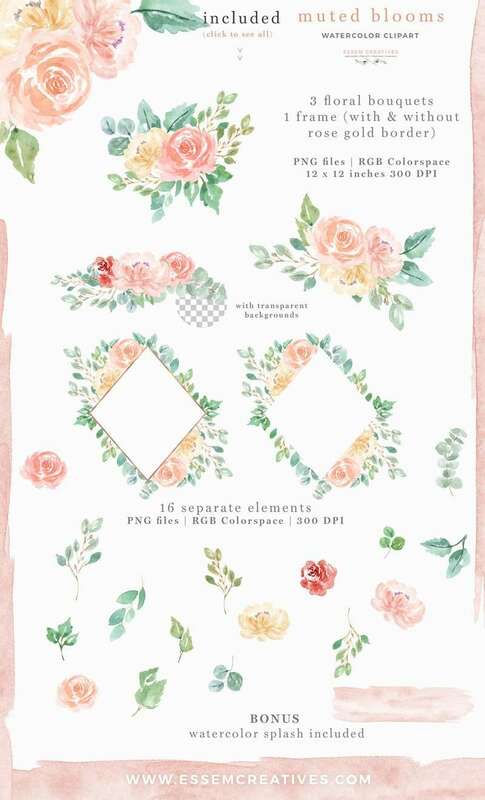 You can also create editable digital templates on Templett Corjl PDF etc. 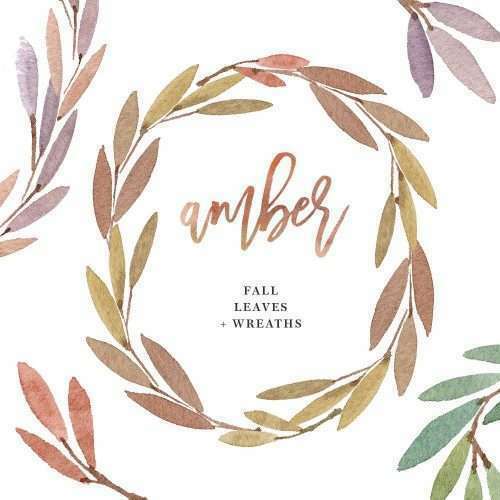 like christmas cards, programs, wedding invitations, save the date cards, bridesmaid proposal cards, and products for sale on Print On Demand sites like Zazzle Society6 Redbubble etc. exclusively with the Template License. 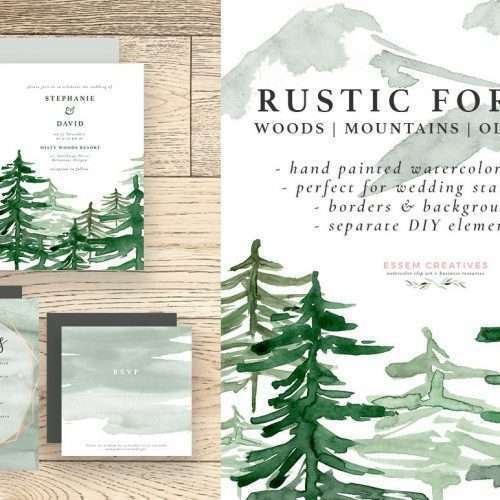 If you are looking to generate passive income with your design business, then templates is a great way to do that. Please note that this kind of usage is permitted only with the Template License and the Large Commercial License, so be sure to select the right license for you before purchasing.